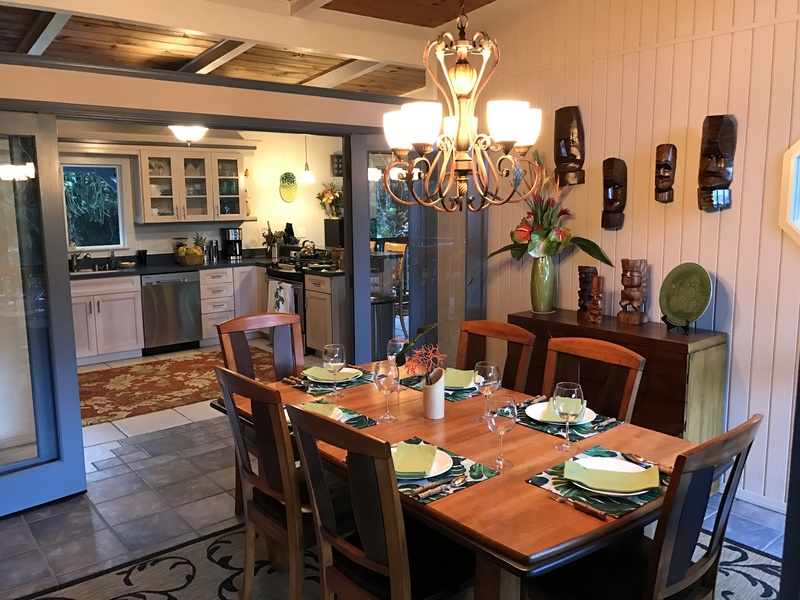 The dining room is located in the middle of the house with easy access to the kitchen and the living room. 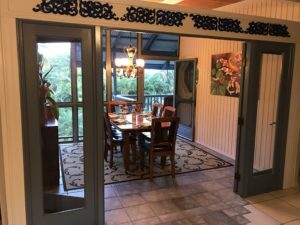 You enter the dining room through double French doors. 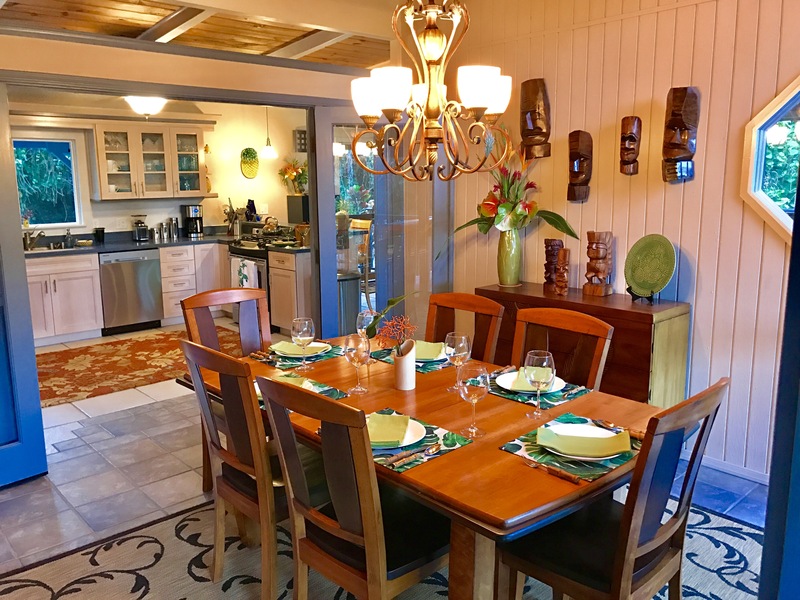 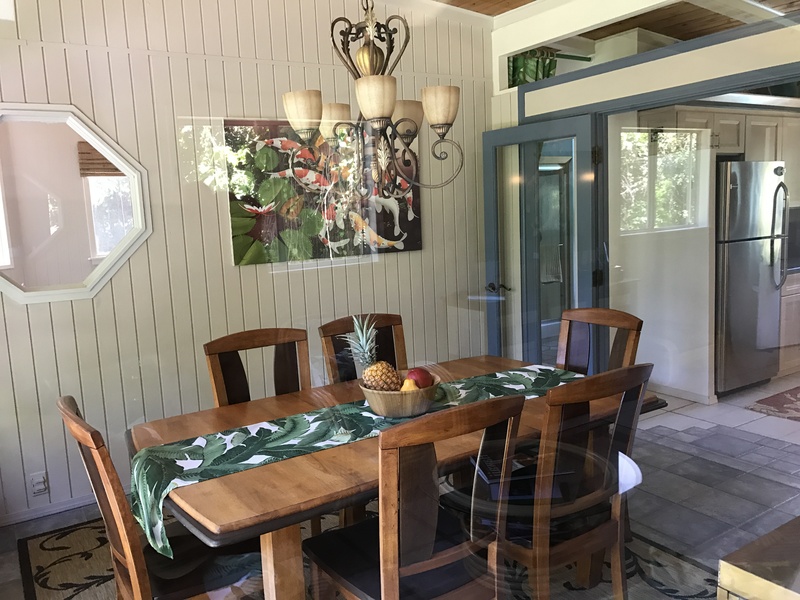 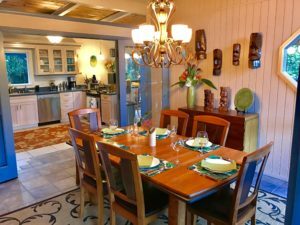 On the front wall of the dining room is a wall of screens from floor to ceiling allowing the trade winds East Hawaii is known for to cool the house. 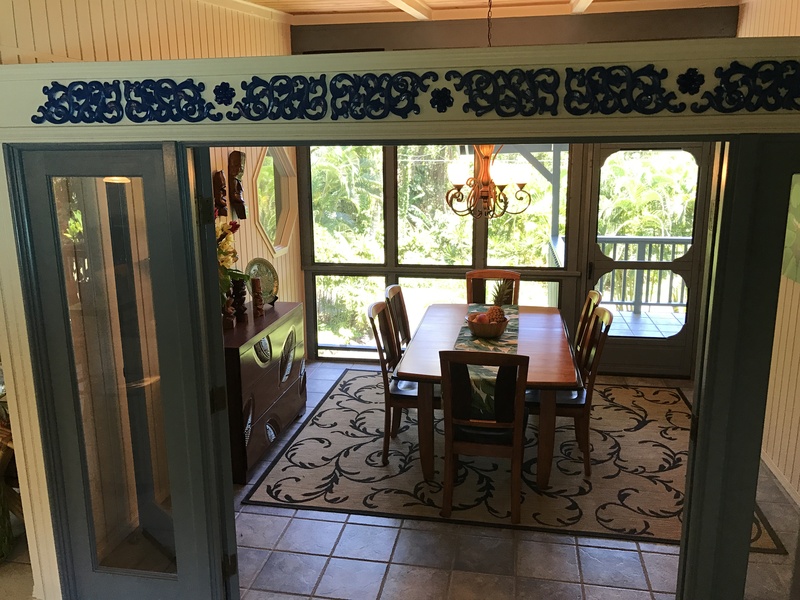 A door allows for easy access to the front lanai which faces east toward the ocean. 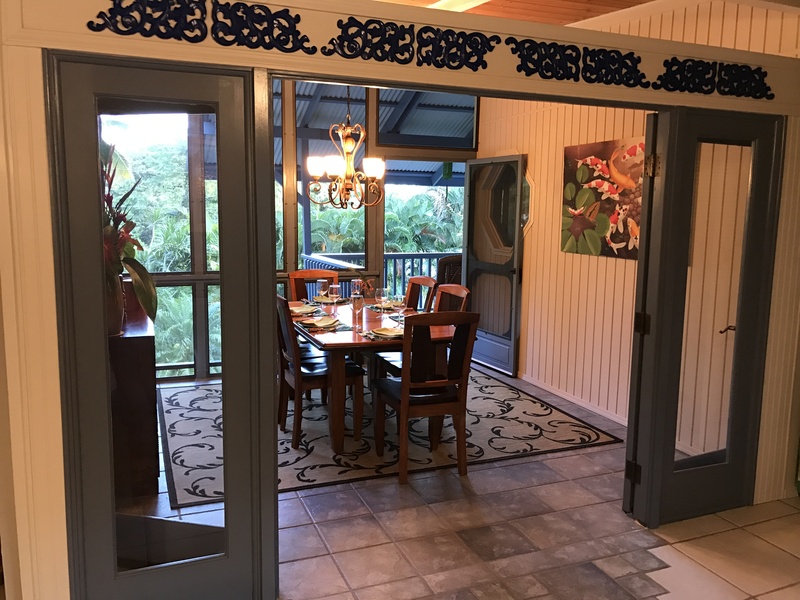 You will enjoy great views of the front yard and the feeling of being high up in the trees, hearing the birds and listening to the palm trees rustle in the breeze. 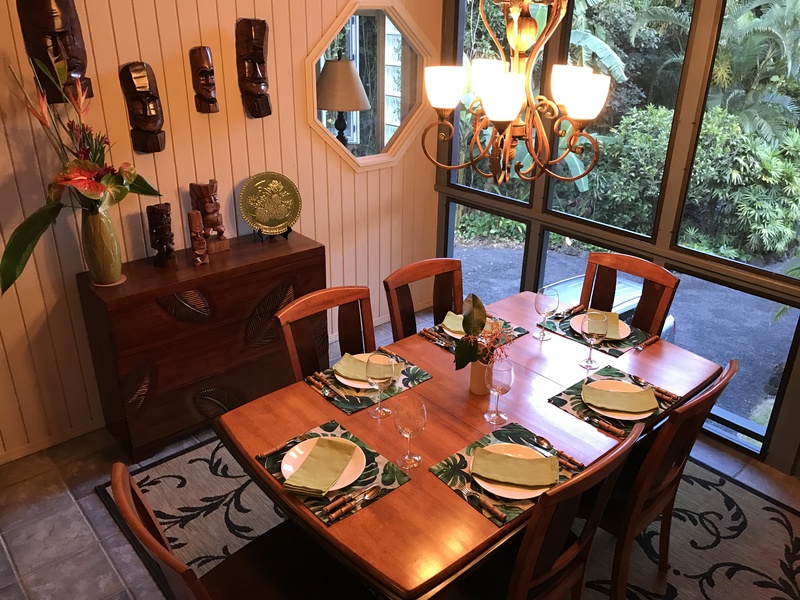 The table in the room is made of koa wood and seats six very comfortably. 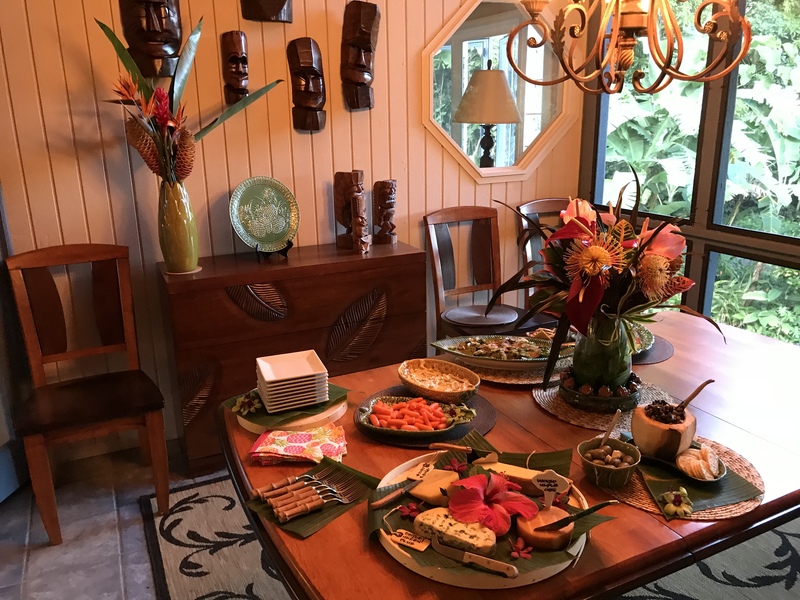 A three drawer side board with carved banana leaves holds napkins, extra flatware and table linens. 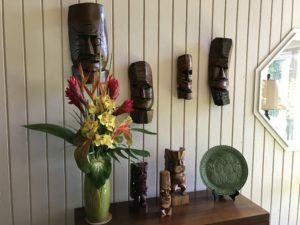 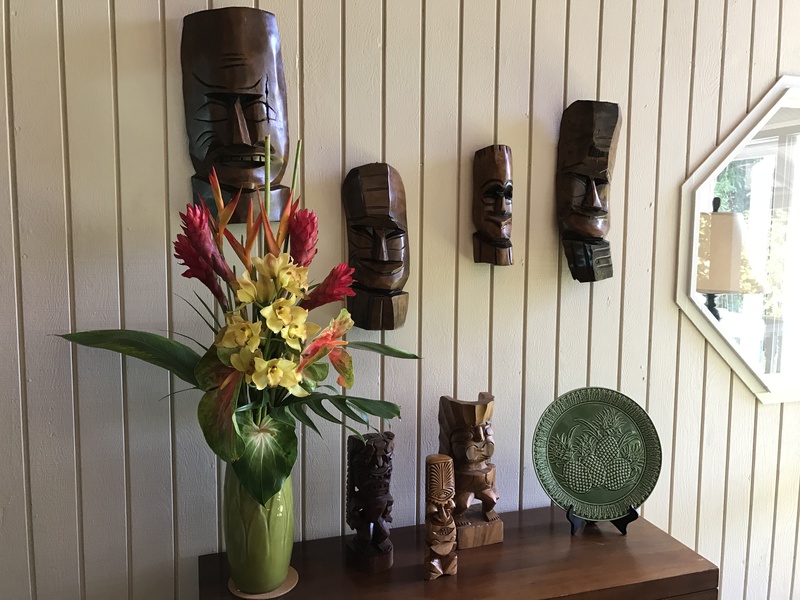 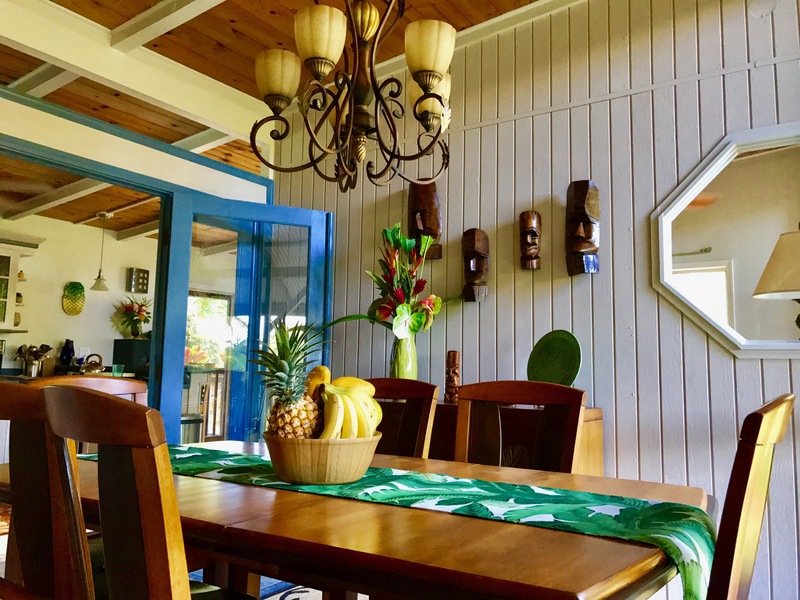 On the wall above the side board you will notice a collection of vintage 1950/60’s Hawaiian Island carved koa wood Tiki masks that we have collected. 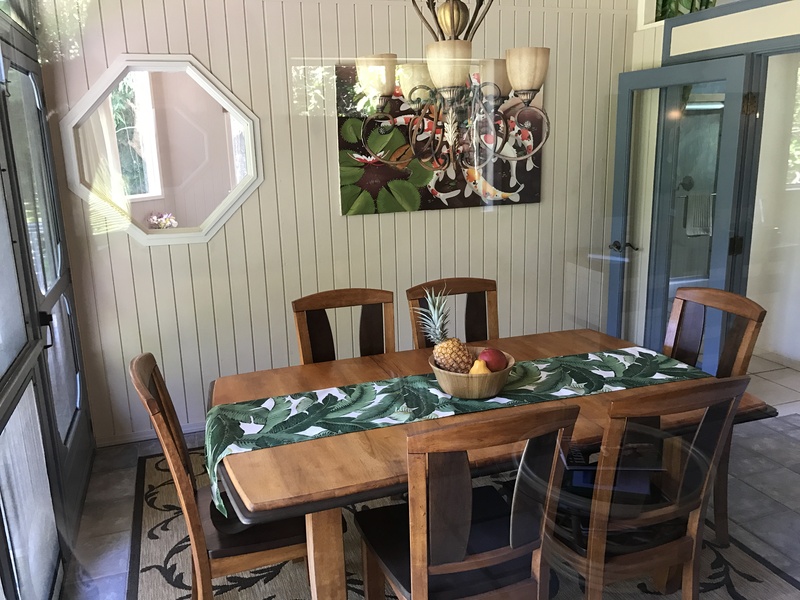 This is a nice space to enjoy your morning breakfast, lunch and your evening meal.